Proud moment for eNoahians. eNoah Indore Team successfully celebrated its First-year anniversary and inaugurated a new office at NRK Business Park, Indore. 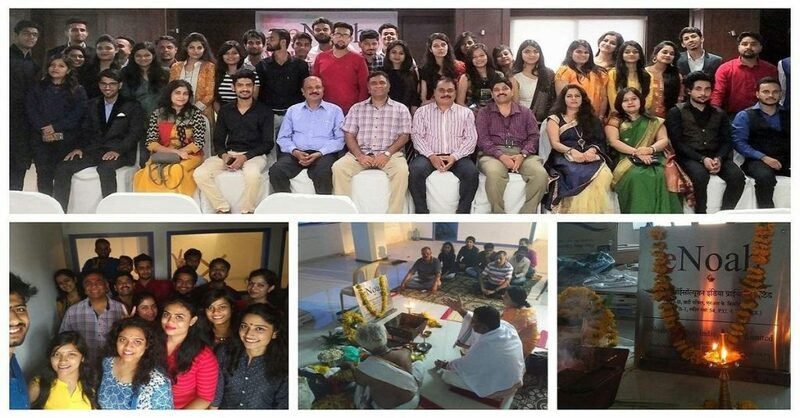 We conducted Sri Ganapathy Homam at Indore New office on Sunday morning 5 am. Mr. and Mrs. Balu performed the puja on behalf of eNoah. Vasthu Puja was also performed, auspicious water ( Theertham ) was sprinkled all over the office to dispel negative energy. In the afternoon, the entire Indore team gathered at Hotel Golden Gate. CEO addressed the gathering about his connections with Indore, why did eNoah choose Indore as their third city of operations, what projects would likely come into Indore and how important Indore office is important to eNoah. He was also appreciative of people’s culture , their hard work and solicited their help in building this office to 200+ members. A delicious lunch was served at the end of the meeting. All the employees felt elated and very motivated after this occasion.